Through the ups and downs, the team gave it all they had both on and off the pitch, and played as a solid team. Incoming Freshman Macey O’Field who played in the Glendale Youth Program for years made an indelible impression on the team with her hard hits as well as words of encouragement to her teammates. Scrum half and Co-Captain Sammy Barger, Senior, proved to be one of the most consistent and solid players throughout the season. 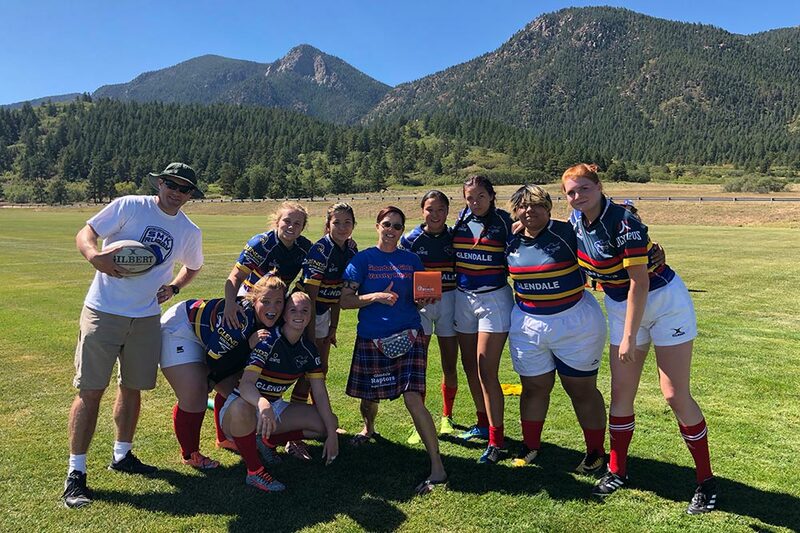 “Not only has her leadership on and off the field helped the team make it to site, but also her athleticism and ability to always be where the ball is on the field has helped make many tries happen,” stated Roberts. Additional big impacts this season include Juliane Wera, whose speed and accuracy put a majority of the points on the board, and Lena Luciano, who added her fair share of tries and conversion kicks and proved to be a solid force to be reckoned with this season. The Glendale Varsity High School team will take the pitch this Saturday, November 10th at Garry Berry Stadium in Colorado Springs to compete in the State playoffs. The first game will kick-off at 11:40am.